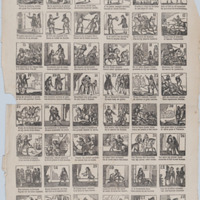 These series of drawings date to the nineteenth century, and although made far after Rodrigo Diaz’s time, demonstrates the significance of El Cid, or El Campeador, in Spanish culture in modern times. Diaz is a national icon for Spanish heritage and heroism and is still celebrated to this day through art that depicts his numerous adventures. José María Marés (Spanish, active ca. 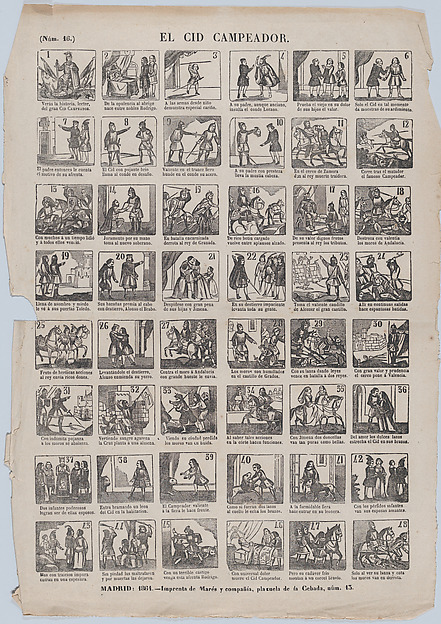 1850–70), “Broadside with 48 scenes depicting the adventures of the warrior El Cid Campeador (1864),” Medieval Hollywood, accessed April 19, 2019, http://medievalhollywood.ace.fordham.edu/items/show/148.